Klippan is an area at the Älvstranden in the western part of Göteborg, close to the Älvsborgsbron. 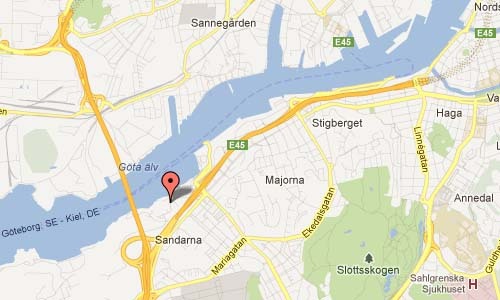 Klippan is located in the city part Majorna. The name is derived from the little mountain “Lilla Klippan” or “Skinnareklippan”, which is located north east of the old Gamla Älvsborgs fästning. On this little mountain, now here is built the Sankta Birgittas kapell, built by David Carnegie. The large mountain or Stora Klippan is since long ago gone, rocks are all removed. 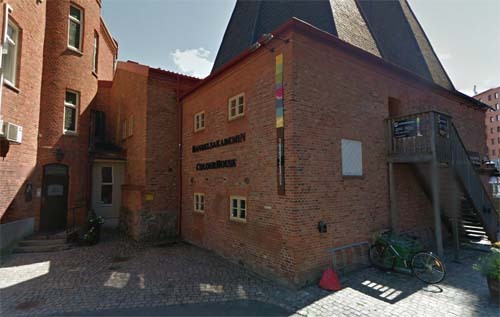 Klippan is considered to be Göteborgs first real harbor, since it was in those days impossible to get further into the river because it was to shallow. Here goods were taken from the ships and transported further into the city. In the early 1600s the first ferry link with Hisingen started over the Göta älv river. The ferry went between Klippan and and Färjestaden on the Hisingen side. In connection with the Älvsborg Bridge opening in 1967 the regular ferry service was ended. At Klippan, the East India Company had its port for all the ships that came back from China. Interresting things to see here are: Art center Röda sten, Klippans Kulturreservat, Sankta Birgittas kapell and the famous Sjömagasinet restaurant. 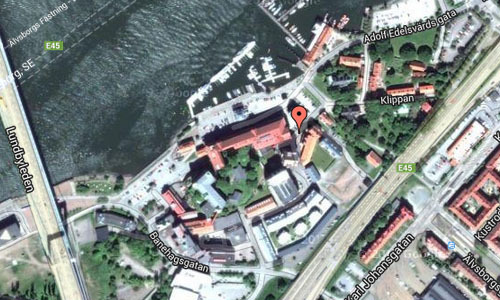 Also the Novotel Göteborg is located here. 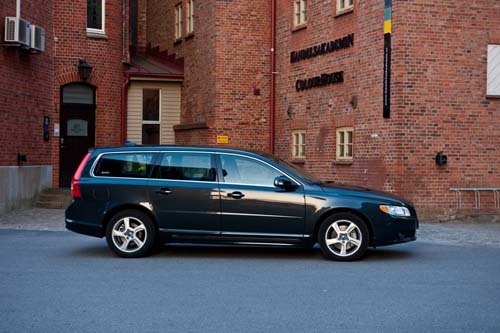 In the building on the photo with the Volvo is Handelsakademin ColourHouse.